I attended Palmer College of Chiropractic in Davenport, IA as this is the ceDr. Boka comes to our practice as a Medical Director with over 40 years of experience in her field. She is board certified in Internal Medicine. nter of where Chiropractic started. After completing my degree with a Bachelor of Science at Florida State University, I was accepted in the prestigious Palmer College. I knew that I wanted to go into a health profession to help people. I researched Chiropractic, and was amazed at what it could do and I knew instantly that it was the correct choice for me. Being able to help people naturally, without the use of drugs or surgeries, was what I was looking for. I knew it was the correct choice, as a year later I met my lovely wife to be at school. I continued my education obtaining a specialty in Nutrition and becoming a certified Clinical Nutritionist. I also am a certified sports physician. With over 30 years of experience in chiropractic, nutrition, and wellness care, I hope to restore and maintain their health, safely and naturally without the use of drugs or surgeries. My family and myself receive Chiropractic care every few weeks. We enjoy going to the gym to workout. Our philosophy is to avoid any type of medications if at all possible. I am a specialist in nutrition, so almost all conditions can be helped naturally with nutrients or herbs. My family eats well and we buy only organic foods. Thanks for visiting our site. I look forward to meeting you in person and learning how we may be of service to you. Dr. Yale comes from a family of Chiropractors. As such, she realizes the value of chiropractic care in order to prevent many healthy problems from occurring. Dr. Yale utilizes effective chiropractic techniques with a gentle, painless touch. She comes to the Bonita Springs clinic well prepared with eight years of extensive training, obtaining both bachelor and doctorate degrees. Give our Bonita Springs chiropractic practice a call, and let’s arrange a time to explore your options. Dr. Boka is a board certified M.D. with 42 years experience across the globe. She started her medical journey in 1974 at the Semmelweis Medical University in Budapest, Hungary. Dr. Boka then completed her residency at Geisinger Medical Center in Danville, PA. She has worked as an internist in Pennsylvania, Oklahoma, New York, and Florida. She has specialized in internal medicine and also has experience with neuropathy and pain management patients. 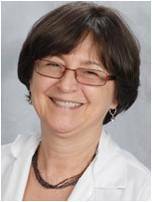 Marva is a certified Adult Gerontological Primary Care Nurse (AGPCNP, AANP, and ARNP) with 39 years experience. She also has certifications in cardiovascular health and progressive care nursing. 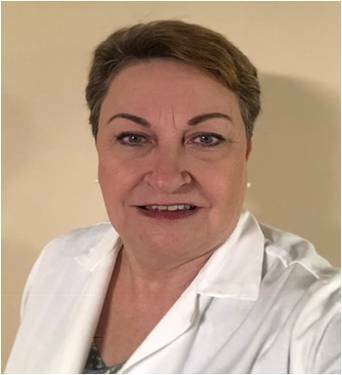 She first completed her nursing degree in 1980 from Murray State University in Kentucky. She received her master’s of nursing from Regis University in Colorado in 2006, and from University of South Alabama in 2014. Marva then finished her doctorate in nursing from the University of South Alabama in 2016. She has vast experience with patients with all types of health conditions. Marva has also been named one of the top 100 nurses in the state of Florida by the Florida Nurses Association.